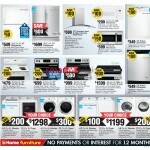 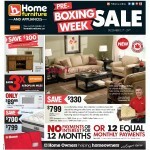 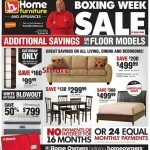 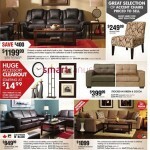 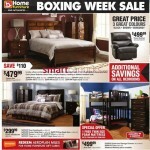 Here is a peak at what Home Furniture and Appliances sales and deals will be during their boxing week sales. 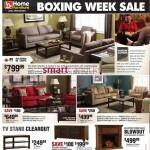 Read their Boxing Day Flyer Canada 2013 here! 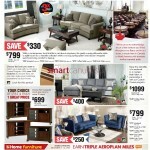 Home Furniture and Appliances has started its holiday sale, but don’t procrastinate since it will be on for 12 days only, ending on December 20th. 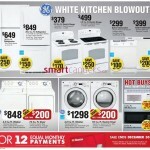 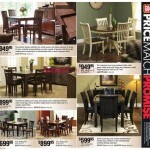 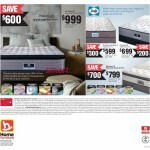 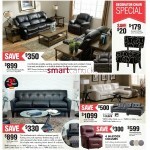 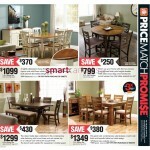 Enjoy additional savings on all bedroom, living, and dining room sets, or take advantage of our white kitchen blowout. 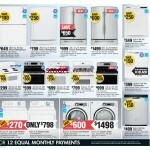 For prices starting at $14.99, take a look at our huge accessory clear-out to wrap up the 2012 year. 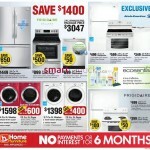 On all purchases take you time paying with the no payment, no interest agreement for 16 months, or if you prefer, set up a monthly payment plan that will span 24 equal months. 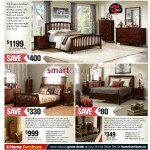 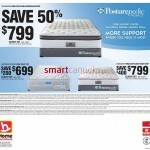 Come in today and save on all your home essentials.